This raw-color (unprocessed) panorama is a mosaic of images taken by MSL's mast camera while the rover was working at a site called Rocknest in October and November 2012. The historic and picture-perfect landing of Mars Science Laboratory (MSL) on the Red Planet in 2012 captivated the global community. More grand in scope than any previous Mars lander or rover mission, MSL is equipped with an array of sophisticated sensors and optics to investigate the planet and uncover its history. Mission planners, preparing for the gargantuan task of collecting Martian data for two years, needed to know about the Martian surface down to the finest possible detail. The National Aeronautics and Space Administration (NASA) and Jet Propulsion Laboratory (JPL) performed spatial analysis on data gathered from prior Mars missions. GIS was critical in landing site selection and navigation planning for Curiosity, the car-sized rover that is carrying out the MSL mission. MSL is the latest in NASA’s multimission project Mars Exploration Program (MEP). Each MEP mission informs and refines the plans made for subsequent expeditions. The most critical aspect of MEP is the collection of Martian survey imagery by remote-sensing orbiters that have been circling the planet for years. Launched in 1996 and arriving the following year, Mars Global Surveyor (MGS) provided scientists with critical elevation data on the topography of Mars collected with its Mars Orbiter Laser Altimeter (MOLA). In 2005, NASA launched Mars Reconnaissance Orbiter, which collected the highest-resolution images of the Red Planet’s surface ever acquired. The High Resolution Image Science Experiment (HiRISE), its powerful camera, views the Martian surface in stunning detail. Imagery and data from HiRISE and MOLA and the European Space Agency’s Mars Express orbiter vastly improved the landing site selection process over previous rover missions that relied on grainy coverage taken from 1970s orbiters and flybys. Two crucial factors have traditionally determined where NASA lands craft on Mars: the scientific richness of an area and the engineering constraints of landing a craft on the planet’s hazardous and boulder-strewn terrain. The locations in the initial list of possible landing sites must also be able to sustain MSL long enough for the onboard instruments to complete their investigations. For mission planners, that process of site selection began with a global basemap of Mars constructed with various layers of geographic data derived from MGS instruments like MOLA and the Thermal Emission Spectrometer (TES). Areas located at latitudes greater than 30 degrees north and south—more than one-third of the planet—were immediately eliminated from landing site analysis because of the extremely low temperatures that dominate those regions. Deep cold would threaten the operation and stability of the craft and risk bringing the mission to a halt. 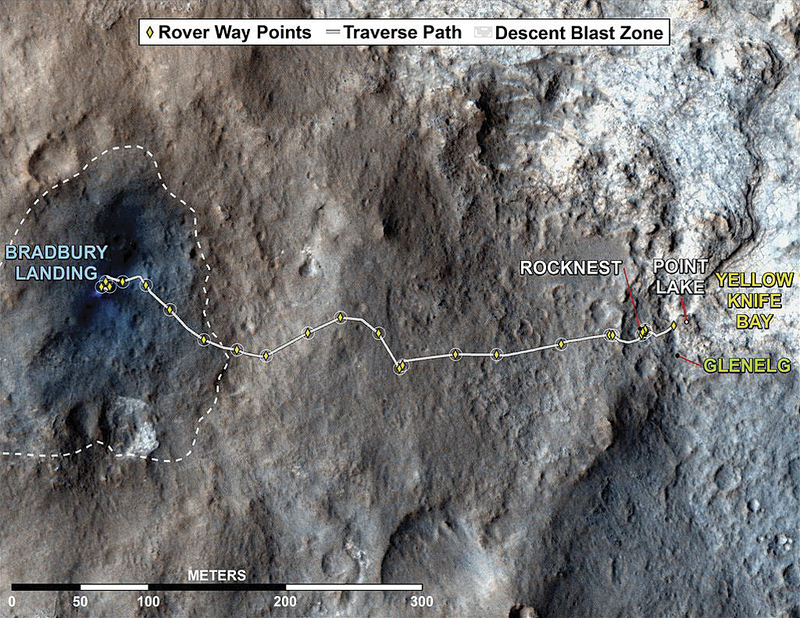 The landing site chosen also had to be located equatorially to ensure stable communication with MSL during arrival. MSL’s main mission objective is to provide a more thorough understanding of Mars chronology, geological dynamism, and life-harboring potential. To do this, MSL requires a landing location that is geologically rich but that also contains relatively flat terrain so that the rover can land safely and navigate freely. The MEP landing site selection team produced a list of 33 of the most feasible landing areas. Each site contained a geological formation that had undergone obvious dramatic change and, thus, was more likely to yield information about the planet’s history through the exposure of previously buried layers. From that list, four areas were chosen. Each of the final four landing sites has the potential to answer many questions regarding the possibility of human habitation and the existence of an ancient water system on Mars. To select an optimal final landing site, planners evaluated the traversibility of the areas of scientific interest within these four sites. Small-scale HiRISE imagery with derived rock density and abundant data was essential in determining if these sites were safe for landing as well as accessible so that MSL could conduct fieldwork. Landing ellipses were drawn in these areas to delineate where the rover could roam. 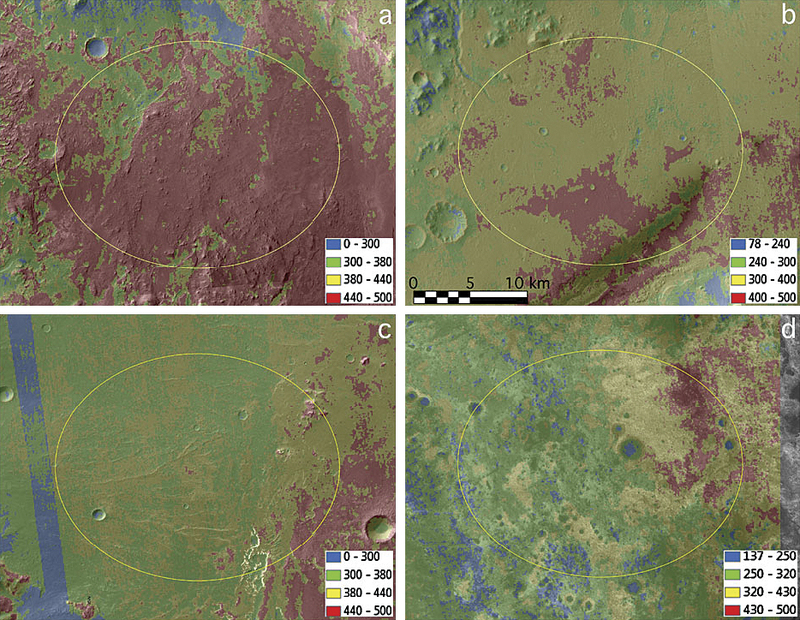 Teams used maps constructed from HiRISE imagery and geographic data on four Martian locations: Holden Crater, Gale Crater, Eberswalde Crater, and Mawrth Vallis. 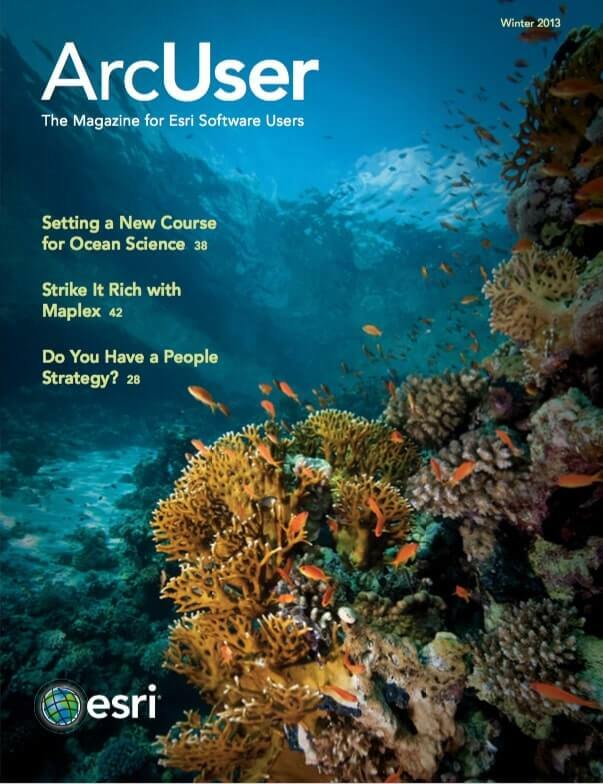 This organized the process used when evaluating each area for scientific significance and navigability. Gale Crater was finally chosen as the study area because it best met both the science and safety requirements. 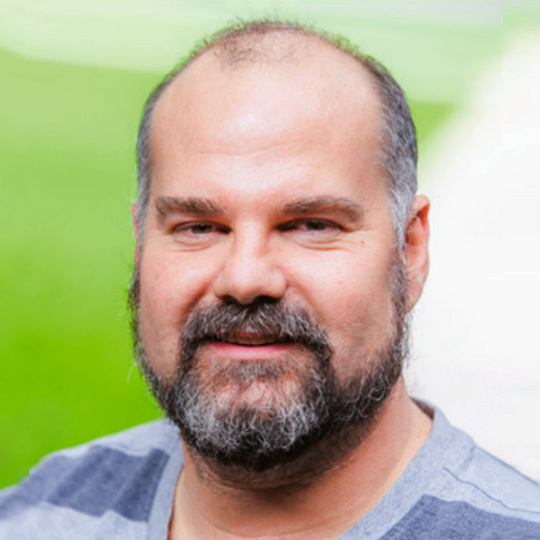 Martian imagery and other remote-sensing datasets were compiled and processed by the MSL engineering team. 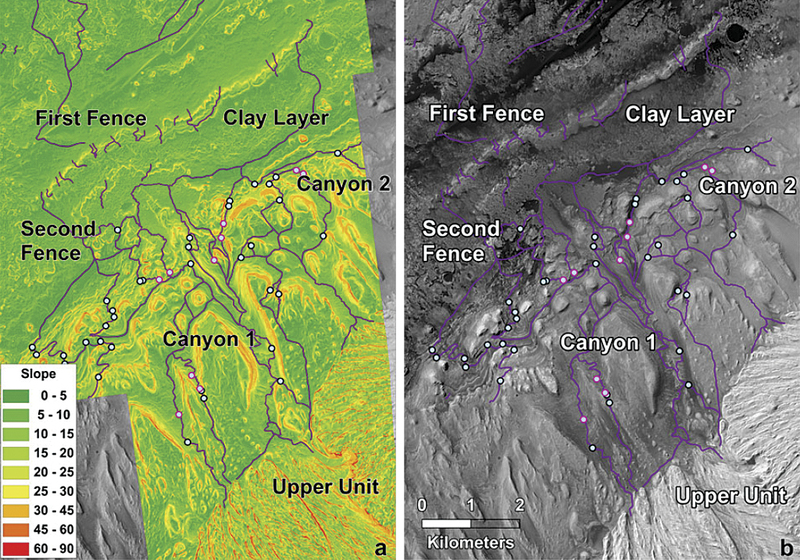 The datasets included digital terrain models (DTMs), delta radii files (elevation models measured from the center of mass of the planet), orthophotos, and maps displaying rock densities and slopes. All maps and models were georeferenced to place them accurately on the surface of Mars using ArcGIS. Once all the images for each landing site were rectified, GIS staff on the engineering team mosaicked the tiles together to create complete maps of each site. MSL engineers used the finished maps for conducting landing simulations and preliminary analysis to understand the traversability and safety of the terrain. Analyzing existing remote-sensing and imagery data within a geospatial framework is crucial for terrestrial planetary mission planning. Information from Mars Global Surveyor, Mars Reconnaissance Orbiter, and Mars Express provided NASA and JPL scientists with unprecedented detail of the Martian surface and comprised the foundational information for the creation of MSL mission maps. Expeditions of such inherent complexity require a platform for conducting comparative analysis and processing raw data returned from MEP missions. GIS brought clarity and focus to the evaluation process, making it easier to narrow sites to those areas within which MSL could conduct its work.